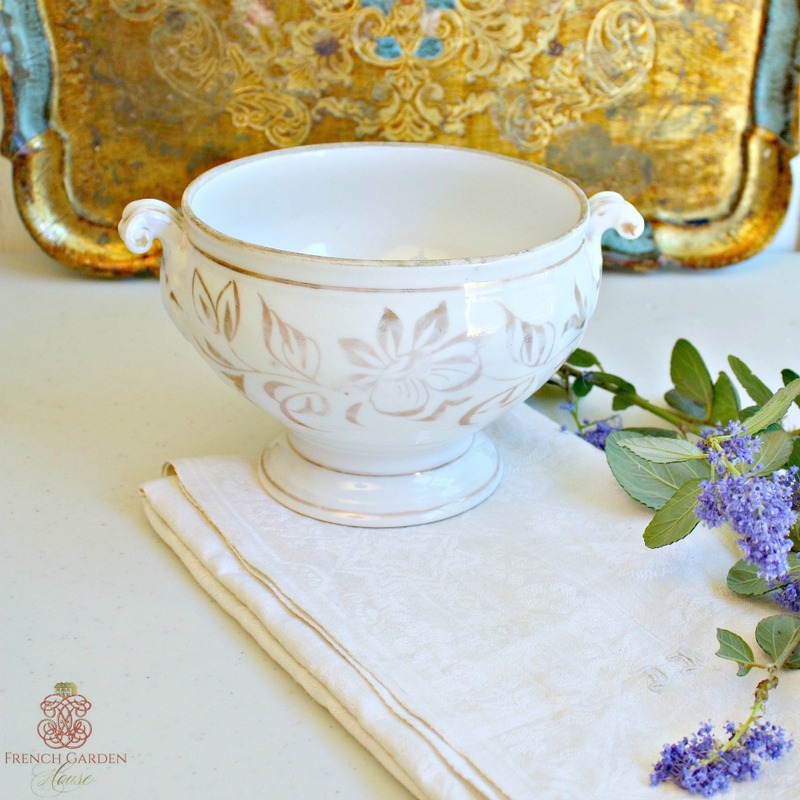 Antique White Wedding Gift Bowl, from France, with a hand applied floral design in gilt all around the bowl. Given as gifts to a bride and groom in France and parts of Belgium in the late 1800's, early 1900's on their wedding day. 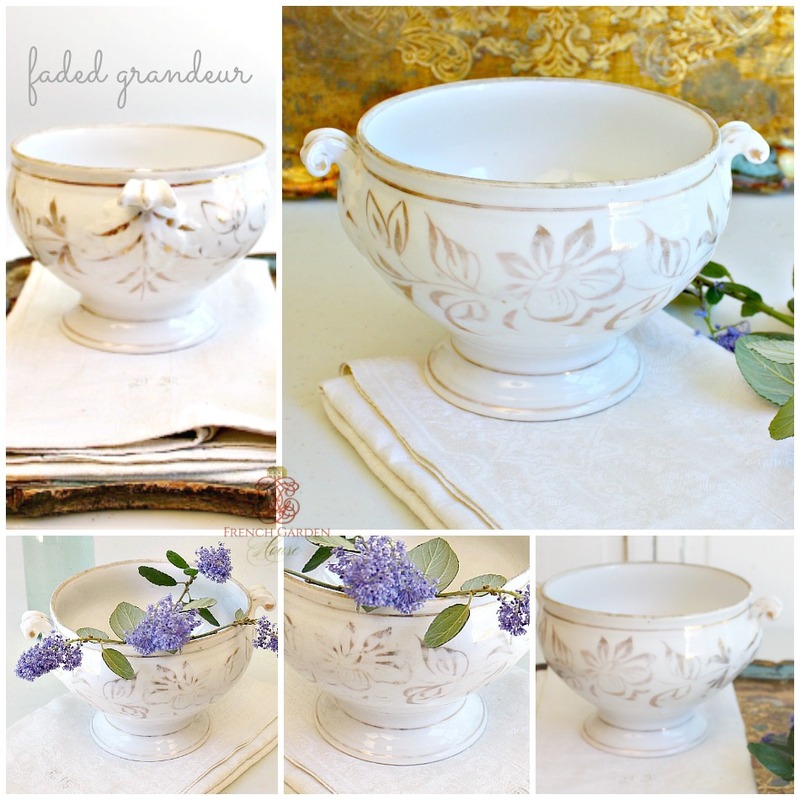 Called "Souvenir des mes Noces" or "My Wedding Day Memories", for brides to use for special occasions in their new home. 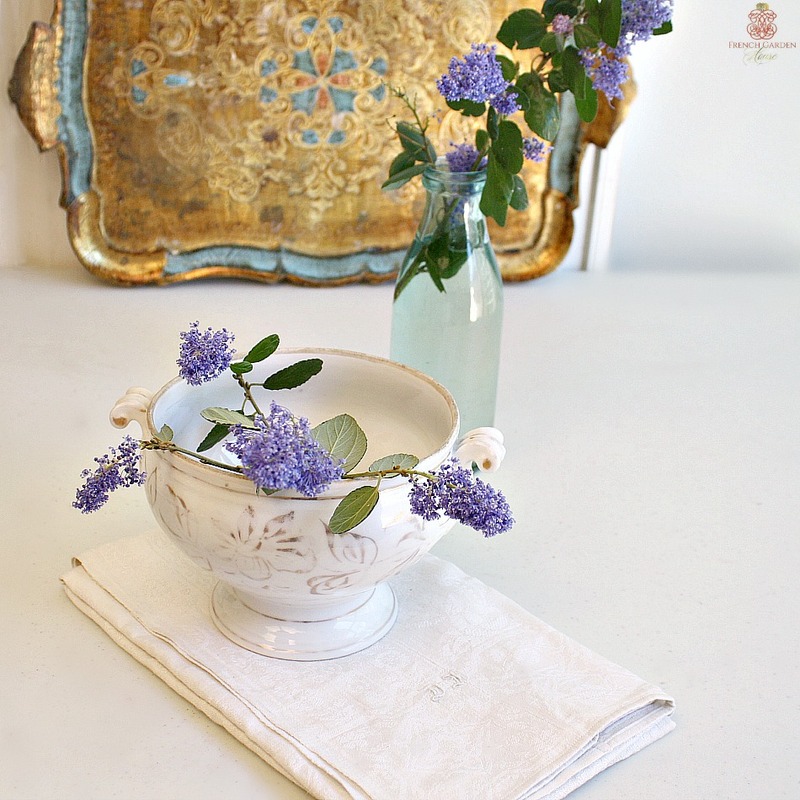 This one is a great collectable size, not too small nor too big, charming and elegant and oh-so French. 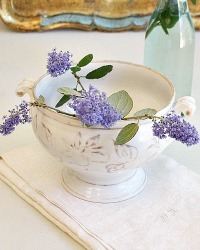 It has a gorgeous scrolled handles with raised relief, and the elegant classic French design. A very pretty piece, with wear to the gold as is to be expected, it's a beauty in all its faded glory. Measures 5"h x 8-3/4" with the handles.